LINC's Beth Robinette and Joel Williamson make a delivery of lentils to Luna, on Spokane's South Hill. Beth Robinette and Joel Williamson dream of completely revamping the Inland Northwest's food supply. As fourth-generation Spokanites from agricultural families, the young entrepreneurs have deep roots in the region. Robinette's family owns Lazy R Ranch in Cheney, while Williamson's family ran a rose nursery on the Moran Prairie for decades. The duo's passion to improve their hometown is palpable as they talk about their fledgling food distribution co-op LINC Foods, launched last August. After completing graduate studies in sustainable business at Seattle's Pinchot University, the pair set out to solve what they believe is the most critical missing link in the regional food supply chain — that the region spends millions each week on goods from outside the local economy. "Our initial dream was, 'Let's redesign the food system and take advantage of this urban system in the midst of some of the most productive agriculture in the world,'" Williamson, 33, recalls. Around the time they laid out these ideas for a business school final project, renowned food system analyst Ken Meter, of the nonprofit Crossroads Resource Center in Minneapolis, published his findings of a 2013 analysis of Spokane's food economy. In one of his reports, Meter observed that the local market's demand for locally produced food is more than enough to financially sustain farmers currently in the area. What we're lacking, however, is infrastructure. This is largely why, Meter writes, more than $1.5 billion (a modest estimate) each year is spent by commercial and household consumers on food sourced outside of the Inland Northwest. "We did interviews with farmers and customers to figure out why it wasn't happening," Robinette, 27, says. "The customers want to buy and the producers have it, so what was missing? What we found through those interviews is that it's a time problem." 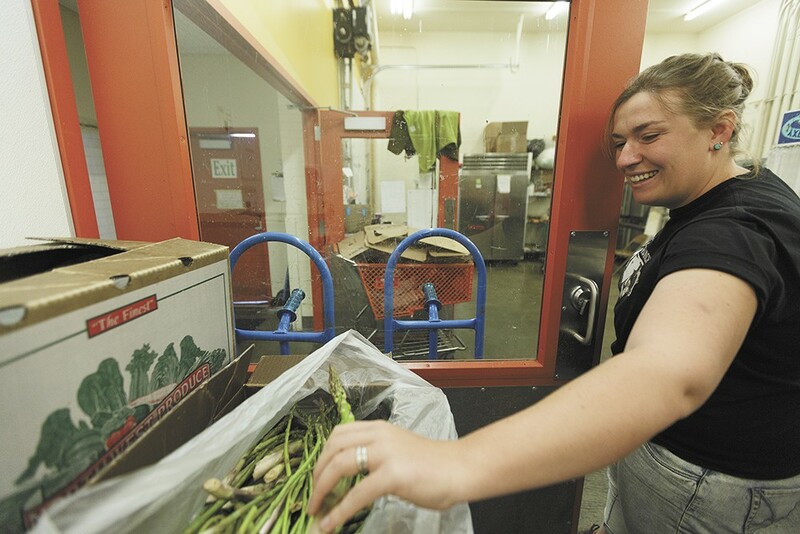 Instead of focusing on household consumers who have access to local produce at farmers markets and specialty grocers like the Main Market Co-op downtown, LINC — Local Inland Northwest Cooperative — is set up as a distribution channel between farmers and larger clients, including restaurants, local school districts, universities and hospitals. "The focus is to get the big institutions with a lot of buying power to spend locally," Robinette says. "Food purchasers, especially if you look at schools, don't have time to work with 50 individual vendors or small local farms. The convenience is in food service companies who offer one invoice and one bill." Currently, LINC distributes to seven area school districts, about eight local restaurants and to Gonzaga, Whitworth and the Community Colleges of Spokane campuses. Its 32 member farmers range from backyard gardeners to multi-acre vegetable farms and large-scale grain growers. Besides those farmer-owners, LINC's founders are its only employees, and the two personally deliver orders each week, on Tuesday and Friday, the day after each farm delivers its fresh goods to them. 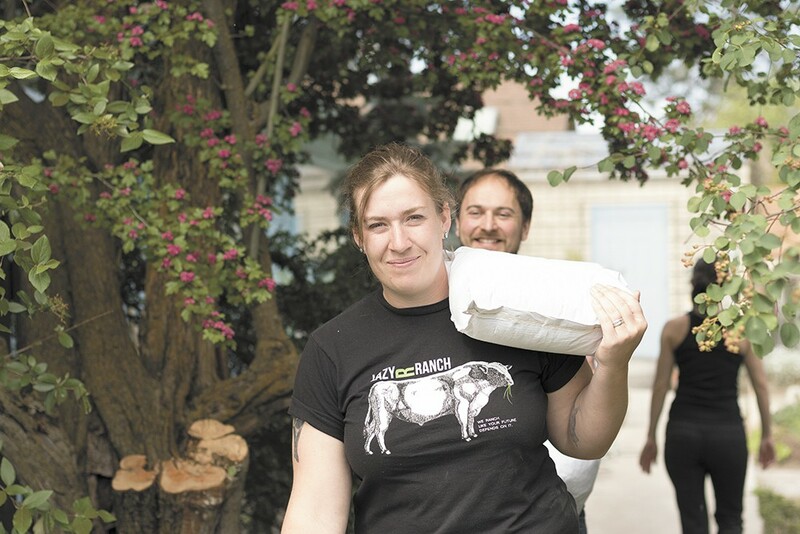 "We bring one delivery and it could be of goods from 20 farmers," Robinette says. "We make it as easy as possible for [customers] to buy local," Williamson chimes in. "We want people to make a right and easy choice, whereas before it was hard and complicated." The Inland Northwest's collective awareness to support all that's locally owned or made has grown considerably in the past decade. When it comes to eating local, the biggest indicator of this trend is the proliferation of weekly farmers markets and farm-to-table dining options at chef-owned restaurants. Many of these restaurants are LINC customers, including Central Food, The Wandering Table, Stacks at Steam Plant, Luna, Santé and South Perry Pizza. On a recent blue-sky Friday morning, Williamson and Robinette load up Williamson's silver Toyota Scion, nicknamed the "Lunchbox of Destiny." They opt for its better fuel efficiency to make smaller delivery routes in lieu of LINC's 20-foot refrigerated box truck. The first stop of the day is South Perry Pizza, to drop off pork liver and pork shoulder roasts. Next up is Main Market Co-op's order of chive blossoms and asparagus. Then they head to the upper South Hill with a grain order for Bouzies Bakery, destined for the bakery's new Austrian stone mill. Grains are soon to become a major focus for LINC in the coming months, as it moves closer toward launching a custom grain-malting operation to support the booming local beer and spirits industry. Williamson, an avid homebrewer, explains that while Washington-grown hops are used by most local brewers, regionally sourced grain malts are almost nonexistent. Instead, brewers are likely getting some of the same mass-produced malts sold to huge domestic breweries. The next step is to raise about $600,000 in capital from private investors and through a community-sourced capital campaign. It's similar to a crowdfunding campaign, but supporters get their loaned money back three years after the initial investment.